Diseases of civilization, better known as lifestyle diseases include all those medical conditions that are associated with the way a certain group of people lives, in the broadest sense of the word. The term lifestyle diseases can also be applied to an individual once his personal habits and behavioural patterns affect his health. On the other hand, the term diseases of civilization is usually reserved for the other side of the spectrum, when factors affecting the health of a group are so widespread that they can be considered to be a characteristic of a given civilization. Although the research in these phenomena is relatively new, we can, retrospectively, talk about lifestyle diseases of the previous eras – for example, the link between the low level of hygiene and the rapid spread of the Black Plague of the 14th century could be of interest to those scientists who are pondering lifestyle diseases today. But, something did change over the course of the 20th century – the society became much more globalized, interconnected, there is a greater flow of people and goods than ever before in history. These processes contributed, also, to the increased flow of ideas and therefore habits and lifestyles. What this means is that diseases of civilization, when present, can reach the proportions of a true pandemic. So, what are some of the greatest threat to human health in the 21st century? The threats that stem from the modern, fast-paced lifestyle we all lead? We all know that pollution is harmful to the environment and all living things. We saw the pictures of the plastic garbage in the ocean and of cities clothed in unhealthy fumes of smog. But are there any measurable effects of pollution on human health? When talking about this topic, we are mostly interested in air quality. 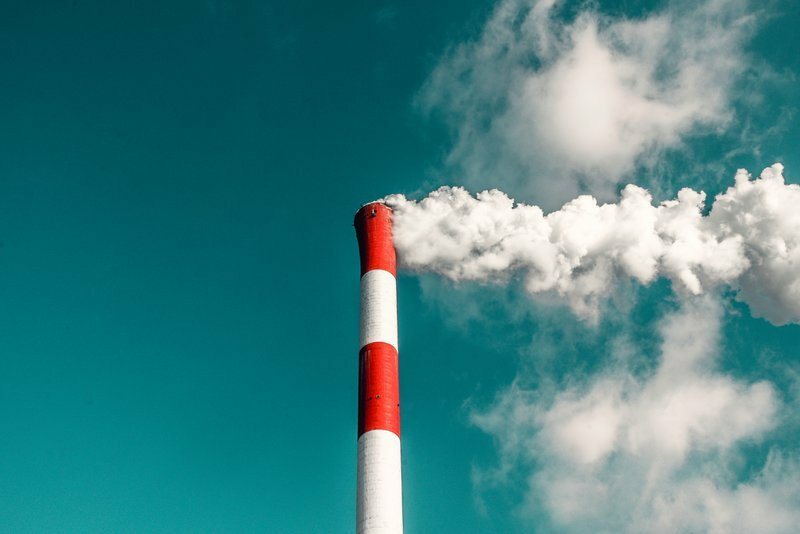 While water can be cleaned of pollutants through chemical procedures (which are sometimes rather questionable themselves), there is little we can do about the air we breathe. It may come as a surprise for many, but air pollution claims estimated 7 million lives worldwide each year! With an ever-growing percentage of population living in cities, exposed to harmful gas emissions, the air quality is predicted to be one of the major problems in the late 21st century. In a ground-breaking article written by Garry Egger and John Dixon entitled “Beyond Obesity and Lifestyle: A Review of 21st Century Chronic Disease Determinants”, a new concept of “anthropogens” has been introduced. 1 It denotes “man-made environments, their by-products and/or lifestyles encouraged by these, some of which may be detrimental to human health”. In their research, they conclude that obesity pandemic that’s been identified in the western societies is a consequence of not just individual lifestyle and choices, but much broader social, economic and cultural factors. The authors claim that the term lifestyle implies a voluntary choice of actions, while this is not always the case. In contrast, anthropogens denote broader causes which aren’t necessarily controlled or chosen by an individual. Genetic susceptibility certainly isn’t a lifestyle factor, so we can cross that one out. Other two can be rather interesting to look at in more detail. For example, while excess food intake is something that depends on an individual, studies have also showed a huge increase in calorie intake or food energy consumption over the last decades. What this means is that not only people tend to eat more food, but also get more energy from smaller portions than twenty or ten years ago. It is worth noting that most of this excess energy comes from an increase in carbohydrates consumption, rather than fat consumption. This increase is parallel to the growing prevalence of sugars in modern diet, showing a direct link between our cultural habits, the common food and drink choices of the western society and the obesity pandemic. On the other hand, detailed studies concerned with habits of modern man have shown a concerning trend. With increased mechanisation, reliance on labour-saving technology at home and at work and a general shift towards less physically demanding work resulted in 30% of global population having insufficient physical activity for a healthy life. In this way, the expenditure of energy is further decreased, so the threshold for excess eating becomes significantly lower. Clearly, this has less to do with individual choices than with broader trends in western societies that profoundly shape our lives. Notice something familiar? Aside from the increasing age, all other risk factors can be classified as caused by lifestyle of the contemporary western civilization – in fact, those are the very same factors that have been proven to lead to obesity. So, even diabetes type 2 can easily be classified as a disease of civilization. What this means is that we can observe one set of factors rooted in the lifestyle of the modern man that lead to a whole cluster of serious conditions. Exactly situations like these are at the core of the scientific interest for so-called lifestyle diseases or diseases of civilization. When talking about this topic, it is impossible not to mention Doctor Stephen Ilardi, a Canadian psychologist and neuroscientist. Doctor Ilardi is the person that can be credited for introducing the term disease of civilization into psychological circles. His amazing study of depression and related disorders led him to a much unexpected place. While researching the trends and trying to find patterns behind the depression pandemic sweeping through the western world, he noticed a curious thing. Despite hardships endured by contemporary hunter gatherer tribes, those people don’t know about mental disorders related to depression. It’s not that they haven’t been visited by experts in medicine and psychology – they had, and cases of serious conditions such as schizophrenia have been documented. Doctor Ilardi focused on researching the lifestyle of these societies and comparing it to the lifestyle of the modern man. After coming up with working hypothesis, he created his own method for dealing with depression – without use of antidepressants! And as a surprise to much of the medical and psychological community, the results were astonishing! While human body cannot produce this type of compound itself, it is very much dependent on it for optimal functioning. In the past, our ancestors had a diet that was very rich in omega-3 fatty acids which they used to get from fish, krill and numerous nuts and seeds. Today, you can purchase omega-3 supplements to easily fulfil the body’s needs. Sounds surprising? Back in the pre-modern times, our ancestors haven’t done an awful lot of exercise. However, they led very active and physically intensive lives. With the sedentary lifestyle of the 21st century, we have a chronic lack of physical activity which has a profound effect on our bodies (and minds). By introducing some light exercise, Stephen Ilardi managed to significantly improve depression in numerous patients. Many people noticed the seasonal component of their mental issues. In his cutting-edge approach, Stephen Ilardi addressed this by focusing on proper light exposure. His program requires patients to get at least 30 minutes of bright light exposure per day, ideally, by staying out or alternatively, using a special light box that emits the same amount of light (10.000 lux). To help the body make the most of this, it is recommended to get light exposure at the same time every day, preferably in the morning as to not disrupt the sleep pattern. The reason for this element of Ilardi’s program is that body needs exposure to light in order to produce a certain set of vitamins that are essential for general health and wellbeing, as well as for mental clarity and optimal function. Today, many work during the night and sleep throughout most of the day, thus severely disturbing the biological requirements and, in the end, “expectations” of the body. Very closely related to light exposure issue, this element, maintaining regular sleep patterns, plays a crucial role in keeping human brain up and running at maximum capacity and optimal performance. However, due to the fast-paced tempo of modern life in the 21st century, many people view sleep as expendable and something that can be sacrificed for increased productivity or some other goal. This is far from the truth – with prolonged lack of sleep or irregular sleeping patterns not only productivity will start to decline, but many other issues may appear, including diminished immunity response, lack of crucial vitamins, mood disorders, insomnia and depression.